And it's really slick. You can visit the new website at www.lexpress.mu. It's visually great and there's tons of things to like about it. I now have to scroll down to skim through the headlines as the new layout means each article takes more space on the homepage. I frequently get errors when viewing the website on my Samsung Tab 4 which runs Firefox - usually unresponsive scripts. I also feel the homepage* is needlessly long and there are tons of unused space. This again lead to a lot of needless scrolling. 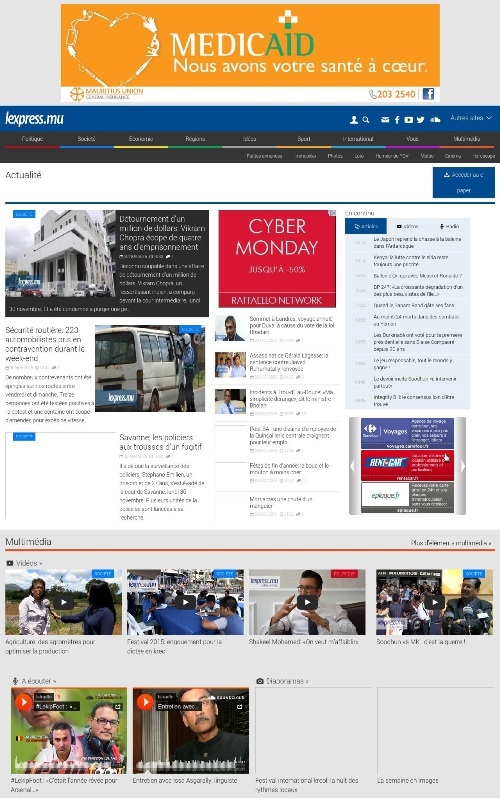 *Note: I'm focusing on the homepage because it's usually the only page I check to keep up with the news in Mauritius - too much news-reading is actually a bad thing.